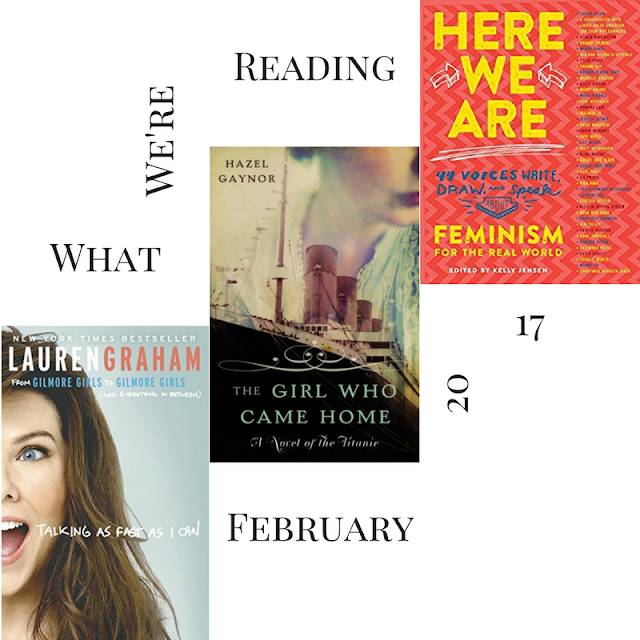 What We're Reading This Month: February 2017 | LADY. There's something for everyone this month on our What We're Reading list: Hollywood memoir, historical fiction, and a collection of essays that will punch you in the gut and make you want to pump your fist at the same time. Take a look below and share your favorite reads with us in the comments! Our Thoughts: Funny, self-deprecating, honest, and totally relatable. Everything a Gilmore Girl should be. Inspired by true events, the New York Times bestselling novel The Girl Who Came Home is the poignant story of a group of Irish emigrants aboard RMS Titanic—a seamless blend of fact and fiction that explores the tragedy's impact and its lasting repercussions on survivors and their descendants. Our Thoughts: A family secret. A love story. The most famous shipwreck of all time. What's not to love? Our Thoughts: An incredible collection of stories that showcase 21st-century feminism in all its forms.